David was one of the original 8 F31club forum members to meet up in So Cal. He was a good guy and tinted his M30’s headlights/taillights. Looked good in black. His M30 was rough and eventually fell apart. That was the last of the muffinman on F31club forums. I hope him well and I hope he sees this! 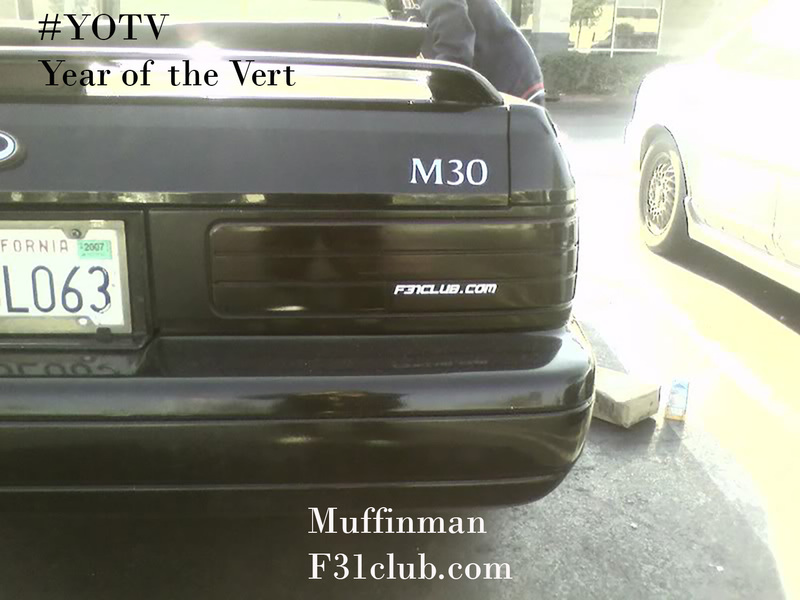 This entry was posted in convertible, Owners and tagged #yearofthevert, #YOTV, muffinman, year of the vert.